PROJECT MANAGER: Winfried Meyer is back at Lindsay Park. The breakup of the world-famous Lindsay Park Stud at Angaston has been completed. Goldin Australia Pty Ltd, a subsidiary of the international conglomerate Goldin Group, has announced the signing of an agreement with Lindsay Park Stud Pty Ltd to acquire Lindsay Park Stud in Barossa Valley, South Australia, an esteemed 1257.5-acre horse breeding and training ground. The sale follows earlier purchases by McEvoy Mitchell Racing of the Raceside complex, and Darren Thomas and the Cornerstone Stud group obtaining the 375 acres where the stallions were housed. Established in 1965 by the late Colin Hayes, a legendary Australian trainer, Lindsay Park Stud is a world-class training complex that today draws accolades from industry experts the world over. Lindsay Park Stud has been sold to the Goldin Group by his son, David Hayes, a famous horse trainer both in Hong Kong and Australia. 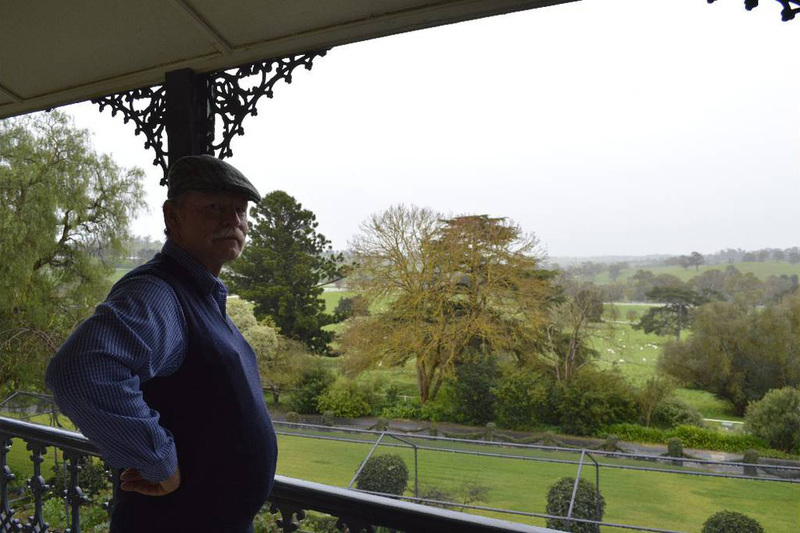 David Hayes has built a new Lindsay Park at Euroa in Victoria but wants to concentrate only on the racing side of the thoroughbred industry. Goldin Group will be renovating the Angaston property, to realise the intrinsic value it holds in the region, as part of a long-term plan to focus on breeding top thoroughbred racehorses, while at the same time exploring the possibility to also introduce the breeding of polo ponies. The group is currently recruiting an international stud manager who will take on responsibility for the daily operations of Lindsay Park Stud. “With a long tradition and an established reputation for breeding and training racehorses of the finest bloodlines, Lindsay Park Stud is an ideal equine environment for breeding and training,” said Mr Pan Sutong, Chairman of Goldin Group. “We are highly committed to the equestrian world as evidenced by our Tianjin Goldin Metropolitan Polo Club, and this acquisition further strengthens our involvement in this sector. “We understand the deep historical sensitivities of this property and its place within the local region’s heritage – we are deeply respectful of the park’s traditions and we will ensure the operations are run in keeping with these values. “Goldin Group looks forward to building on Lindsay Park Stud’s existing reputation, with the aim of strengthening South Australia as the premier racing and breeding state,” Mr Pan said. David Hayes, the proprietor of Lindsay Park Stud Pty Ltd, said, “Our family has been running Lindsay Park Stud for over 45 years. “We have been seeking a buyer who can maintain Lindsay Park Stud as a horse breeding and training ground and who understands the importance and sensitivities of the property’s historical links. “We are delighted that Mr Pan Sutong shares our vision and we are pleased that Lindsay Park Stud will continue to operate, evolve and hopefully expand in the future. The transaction was completed on September 11, for an undisclosed sum. This acquisition sees the Goldin Group further expand its real estate holdings, tying into its existing portfolio of assets including those in Tianjin, China and Hong Kong, in addition to Napa Valley, USA and Bordeaux, France. The purchase of Lindsay Park Stud also results in the group developing its interests, to incorporate thoroughbred racehorse breeding within its numerous business lines including real estate development, polo, wine, consumer electronics and financial services. Winfried Meyer has been appointed Project manager to oversee the planned renovations. Mr Meyer, who worked with David Hayes on the building of his new establishment in Euroa, also spent time with the trainer at Lindsay Park. “It is a little strange to be back here but I am excited about the chance to return this great property to a world-class stud and farm,” Mr Meyer said.